LATEST UPDATE : Nobel Prize for Economics, Peace, Chemistry, Physics & Medicine is announced Now. Check List of Nobel Prize Winners below…. The Swedish Academy has decided to postpone the 2018 Nobel Prize in Literature, with the intention of awarding it in 2019. So Nobel Prize in Literature will not awarded this Year. The Nobel Prize is a set of annual international awards bestowed in several categories by Swedish and Norwegian institutions in recognition of academic, cultural or scientific advances. 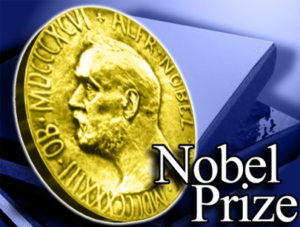 The will of the Swedish inventor Alfred Nobel established the prizes in 1895. The prizes in Chemistry, Literature, Peace, Physics and Physiology or Medicine were first awarded in 1901. Medals made before 1980 were struck in 23 carat gold, and later from 18 carat green gold plated with a 24 carat gold coating. Between 1901 and 2016, the Nobel Prizes and the Nobel Memorial Prize in Economic Sciences were awarded 579 times to 911 people and organisations. With some receiving the Nobel Prize this makes a total of 23 organisations, and 881 individuals. This Year’s Maths Nobel Prize i.e. Fields Medal is given to Indian Origin’s Akshay Venkatesh. In the International Congress of Mathematicians in Rio De Janeiro, Field Medal was given to Him. Recognition For – “for decisive contributions to the LIGO detector and the observation of gravitational waves”. Recognition For – “for its work to draw attention to the catastrophic humanitarian consequences of any use of nuclear weapons and for its ground-breaking efforts to achieve a treaty-based prohibition of such weapons”. All Candidates who are going to appear in competitive exams, must learn about Nobel Prize 2017. 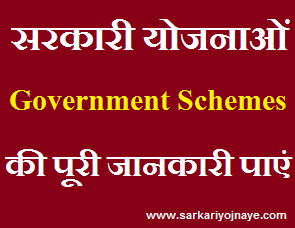 It is hot topic & one question must ask in the exam from this Important Topic. hello sir , please change the nobel prize of the last two lines … no prize was awarded for literature,. by mistake the line changes. Hi Raja, thanx for your concern. I have made correction.